This study aimed to explore different techniques of interaction within tabletop interfaces, and evaluate each interaction through user testing in the way to understand their advantages and disadvantages, and whether users prefer one technique over the other. 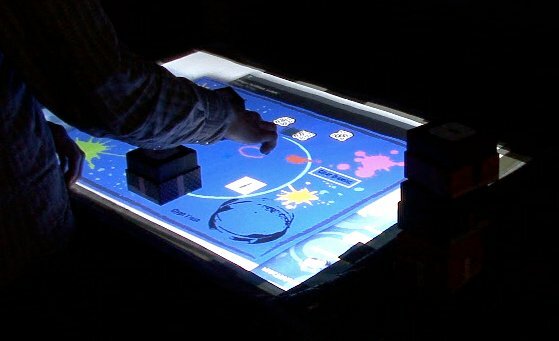 Some of the issues related: How can we interact with tabletops tangible interfaces? 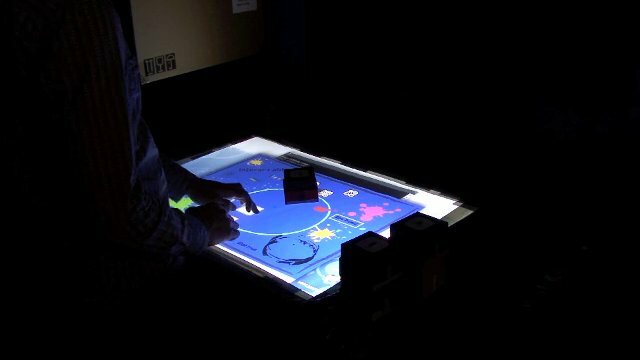 In a tabletop musical environment, do users prefer tangible or touch interaction? How can users’ gestures be recognized and mapped into sound? How is it possible to evaluate musical interaction on tabletops? This research addressed the above issues by providing the user with different forms of interaction: tangible and multi-touch interaction techniques. 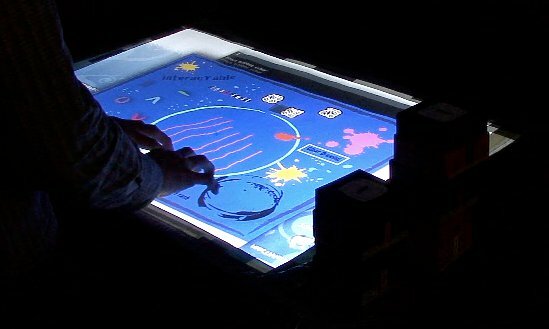 In support, an interactive music tabletop (the interacTable) was built where users could create and manipulate sound by positioning physical objects on the table, and also by drawing simple glyphs on the table’s surface with their fingertips, which would then be recognised by the system and transformed into a musical sound. The study also focused on evaluating the interaction by conducting user testing to identify whether within musical tabletops one technique is more suitable than the other.